I have not been writing, not even reading except for online news. Most of my time the last three weeks has been spent doing things a mother is supposed to do. I’m not complaining, it is just a fact. I did have a very short break when I went to Bangkok four weeks ago, but it wasn’t a leisure trip. This time I will have a few hours of quiet as I plan to just stay in at the hotel for the whole afternoon and evening before my flight to Kuala Lumpur tomorrow. I look forward to reading and be inspired to write again. 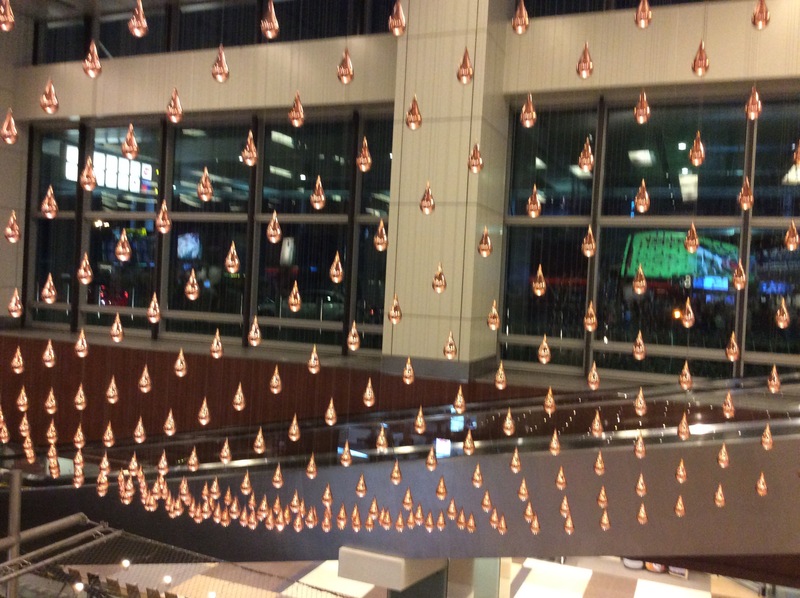 This entry was posted in Places, Thoughts and tagged changi airpor, kinetic rain, reading, Singapore, thinking, travel, writing. Bookmark the permalink.